relational connection, and spiritual rejuvenation. When seeking the best family vacation experience, look no further than Gull Lake Ministries. We offer an all-inclusive resort experience for the family marked by innovative, Christian programming, luxury accommodations, unlimited land and water sports, and gourmet, chef-prepared meals for every appetite. At Gull Lake Ministries, it is all about getting closer! Make Gull Lake Ministries your summer vacation destination and make lifelong family memories in the lap of luxury. 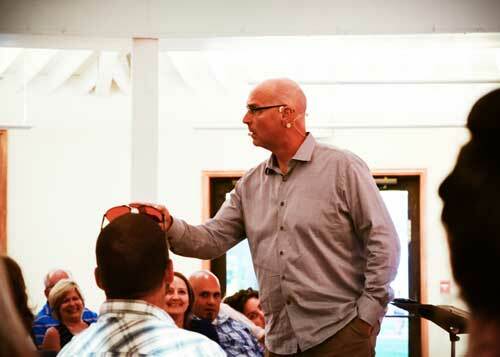 At Gull Lake Ministries, we are passionate about providing the highest quality of service. We seek to deliver a seamless experience where guests’ needs are innovatively anticipated and warmly accommodated.We are confident that you will find your time at Gull Lake Ministries refreshing, inspiring, and nothing short of satisfactory. If you are not pleased with your vacation experience for any reason, we promise to refund your investment completely.How’s that for a promise? Enjoy the luxury of an all-inclusive resort getaway and choose from a variety of action-packed activities, as you create lifelong family memories. Gull Lake Ministries hosts an array of faith-based events and conferences designed to encourage, engage, and rejuvenate our guests. CLOSER TO EVERYONE YOU LOVE! It’s all about getting closer! Gull Lake Ministries offers a variety of overnight accommodations for groups of 2 to 425, including waterfront and inland options! Condo- and hotel-style units feature private bedrooms and baths with a shared living room and kitchen. Our private cottages provide bedrooms, baths, living rooms, and kitchens. Click here to see photos and room descriptions. 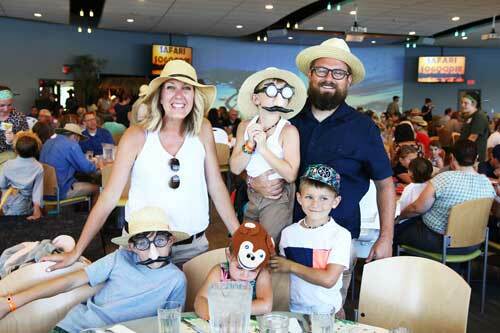 Gull Lake Ministries provides an extravagant dining experience for the family. Our chef-curated menu features farm-fresh fare and sustainably sourced ingredients designed to satiate the palates of all ages. Relish lakefront views, delight in gourmet flavors, and fall into our signature dining experience. Customize your summer escape! We cater to the entertainment needs of every family member! 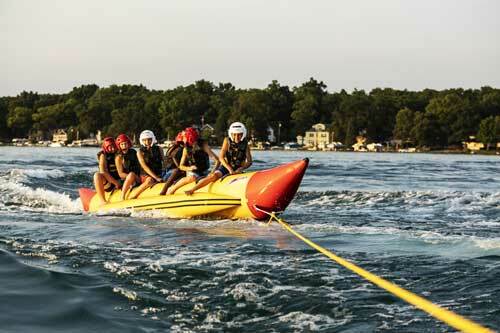 We offer guests a vast array of activity options ranging from lake adventures and land sports to ropes course challenges and opulent leisure activities. Gull Lake Ministries offers intentional, faith-based youth programs characterized by energy, exhilaration, enthusiasm, and non-stop fun! 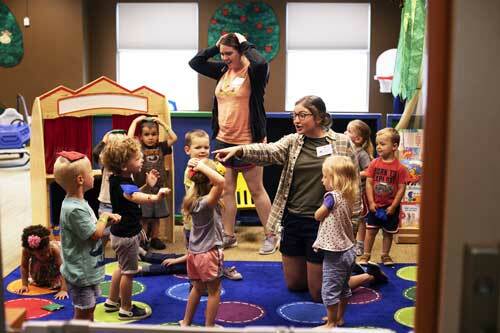 Our counselors express an abiding commitment to Jesus and are passionate about investing in your children. Our speakers offer powerful biblical truths and practical insights that serve to refresh, inspire, and empower our guests. Experience spiritual and relational transformation in an engaging environment characterized by powerful teaching and Christian fellowship. Come as you are or dress in character to attend one of our four family theme nights, where the program, decor, and costumes promise to entertain both young and old. We also offer two evenings of Elegance and Escape, an exclusive dining event, for adults 18 years and older. Guests indulge in inspired cuisine, as they revel in panoramic lake sunsets. We provide High Tide and Lakeside with a Fun Feast of their own where they are able to connect with peers over party food favorites! Explore the luxurious lodging options at Gull Lake Ministries. Located on the pristine waters of Gull Lake in southwest Michigan, we offer you and your family enchanting lake views, inviting ambience, and spacious living areas designed to meet the needs of your entire family. 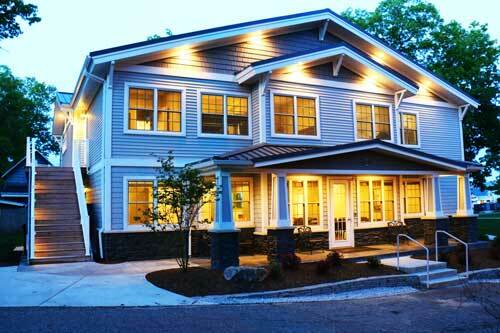 We provide an array of housing options ranging from private cottages to palatial condos and lodges. Enjoy thoughtful amenities and comfortable living, whether you seek accommodations for a party of two or a party of twenty. Indulge in inspired cuisine, as you delight in panoramic waterfront views! 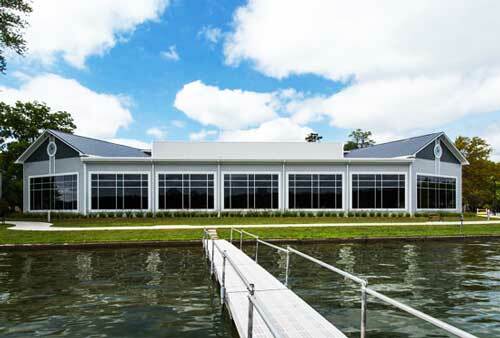 Our 18,500 square-foot dining facility features floor-to-ceiling windows that command stunning lake views and provide expansive space and light to enhance every meal. We promise a dining experience of unmatched quality and choice. We provide gourmet, buffet-style meals designed to satiate every appetite and create enduring memories for the family. HAS A TON OF FUN! Unlimited land and water activities await the entire family! Enjoy banana boats, water slides, glow bowling, zip lining, and more! Discover More Ways to Play! Gull Lake Ministries offers you and your family a summer escape that ticks all the boxes. Experience a family vacation uniquely designed to bring you closer to God and the people you love most. Act quickly to reserve your spot!